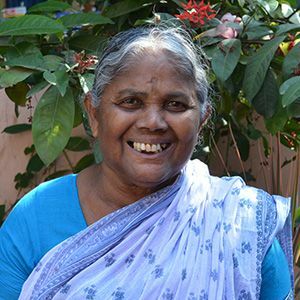 Prasanthamma's husband died in 2012 due to prostate cancer. Since his death, Prasanthamma has struggled financially. She has taken work as a sweeper, but her meager income doesn't provide enough for her to meet her needs, such as food, on a daily basis.